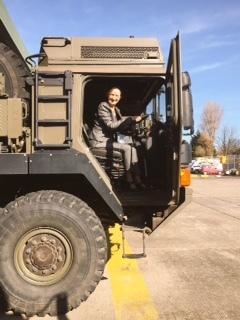 Many thanks to Lt Col Mike Lewin, 102 Battalion REME and all at 119 Recovery Company at Prestatyn for a very interesting and informative visit which gave me a real insight into the highly skilled work you do, and great to hear about your innovative scheme with job seekers. Thanks, too, to my friend and colleague Ann Jones AM for alerting me to the impact that losing the army reservist base at Prestatyn would have on the local area. But it is not just Prestatyn that would suffer – our armed forces would miss out too. 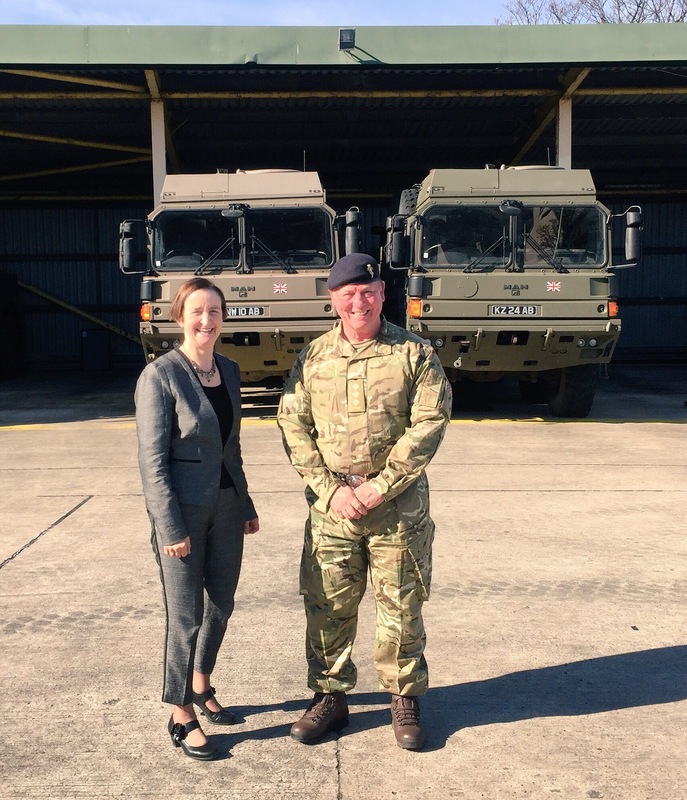 Currently 119 Recovery Company at Prestatyn draws in reservists from across North Wales. So, if you are from Prestatyn, never mind Bangor or Caernarfon, and you want to serve with the Royal Electrical and Mechanical Engineers and the Prestatyn base closes, would you really want to be travelling all the way to England? Poorly thought –through plans to reorganise the service could end up losing recruits from whole swathes of the country – in this case North Wales. With the current recruitment challenges, Government Ministers must ensure that any reorganisation plans do not end up effectively excluding whole geographical areas from recruitment – leaving our armed forces with less choice of personnel, and limiting local reservist opportunities.